Let’s go in chronological order. I received my initial education in my home country, India. I was fortunate enough to get a chance to attend amongst the best schools available there. I got a Bachelors degree in Technology (B. Tech.) at the Indian Institute of Technology, Kanpur with a major in Electrical Engineering and a minor in Physics. Then I moved to the U.S. for graduate school. I attended Penn State’s Center for Gravitational Physics and Geometry and graduated with a doctorate in Astrophysics in August 2000. Right out of grad school, I joined Long Island University as a tenure-track assistant professor where I have been ever since. On campus here, I teach a variety of undergraduate courses, continue my astrophysics research and also tinker with computer technology, multimedia, and technical computing by being involved actively with the on-campus Technology Center ( http://techcenter.southampton.liu.edu/). This Tech Center is a cross-disciplinary, faculty run facility that serves as a teaching lab, a multimedia center, a parallel computing cluster and a place to experiment with several cutting edge computer technologies. Graduate school helped mature my early interest in computers, since I got a chance to involve myself with several high performance computational facilities at Penn State for my Black Hole related research. So, it’s no surprise that I found myself playing with and contributing to the Tech Center facilities here, at LIU. In addition to analytic and numerical modeling using computers, I tremendously enjoy playing with Web based technologies, streaming media, video editing etc. In fact, I am also responsible (with a student assistant) for webcasting, streaming and digitally archiving (on DVD) our on-campus Natural Science Faculty Seminar Series, called BrainWASH. How did you become interested in astronomy? Are you also an amateur astronomer? The single most influential person in my life is probably my father. He happens to be a particle physicist, so naturally I got interested in physics at a very early age. I’m not exactly certain how that astronomy/astrophysics seeped in … although I am certain that it was very early (sometime in high school). I developed an almost obsessive interest in General Relativity at that time! Unfortunately, I am not an amateur astronomer. It’s not that I am not interested … I just have not yet been able to find the time for it! I will someday. How long have you been using a Macintosh? What got you started with Macs? What kinds of Macs are you currently using? I got my first Mac in 1998 when I was a graduate student at Penn State. It was an old Mac Classic that I picked up from university salvage!! I got it simply because I always wanted to have one. As a child in India, I had read so much about Apple Computers, but had never really gotten a chance to have or play with a Mac. However, as I started out with that old Mac Classic … I found myself getting drawn to it, and soon I began buying more recent models just because I wanted to do more. In a year or so, I was the contented owner of a G3. Currently I have four Macs. 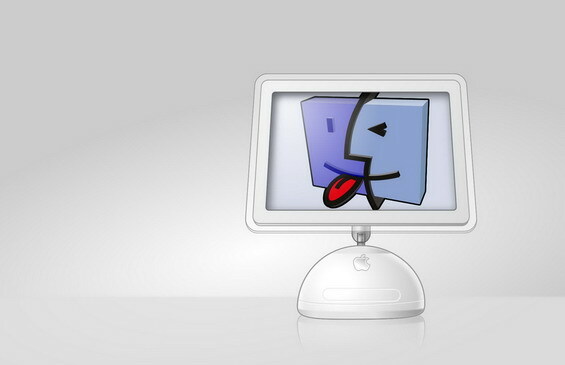 I have an old G3 Strawberry iMac (350 MHz, 96MB, OS 8.6, printer, scanner) that my two year old plays with. I also have a G4 Cube (450 MHz, 0.5 GB RAM, 15" Apple Studio LCD, Mac OS X Jaguar) and a 1.0 GHz DP G4 DDR PowerMac (my primary Mac, running Jaguar) at home. At work, I have a G4 PowerMac (DP 450 MHz, 1.75 GB RAM, Jaguar) with a 17" Apple Studio CRT. I also have a digital camcorder, a Canon ZR-10 that talks to these Macs via FireWire. What is it about the Mac, Mac OS X specifically, that appeals to you? Why is Mac OS X your "scientist’s desktop"? Are Macs in abundance at LIU? I love Macs, especially now with OS X. It’s the only OS that is UNIX based and has all the current writing, presentation, multimedia and creativity software packages available for it. In my opinion that makes it unique. Personally, I love it because I have always loved the beautiful and intuitive Mac OS GUI and now with OS X I can also do my scientific research work on it! It’s the combination of that workstation level OS with Aqua’s simplicity and intuitiveness … that just does wonders for me! Indeed, I can run my Black Hole collision and Gravity Wave simulations on OS X, monitor their progress using graphing software like gnuplot and proFit, make QT movies of the evolution, embed them and host them on Web pages or in presentations, write technical papers about my results … all while sitting in the same chair at one machine … my G4 PowerMac! Let me give you an example. Last night at home, after dinner, I started two different simulations on my dual processor G4 that model gravity wave emission from a rotating black hole, when a small matter particle falls into it. I set them to run in the background while I started to do other things. Using iMovie and iDVD I started archiving our faculty seminars from this semester on a DVD. And before I went to bed, I had a professional looking DVD with a proper theme and everything with the first month of talks and also some numerical data ready to be included in a technical paper that I am currently working on. Now, there you go. This one computer can handle two simultaneous computationally intensive simulations and edit and encode video and burn it on a DVD. Tell me about another platform that even comes close! Macs are not at all abundant at LIU. There are two small Mac labs in the Creative Arts and Media division and that’s it. All other labs are PC labs. However, we are beginning to change that here. Like I mentioned before, we have a cross-disciplinary Tech Center that involves projects in creative arts, multimedia, teaching and computational research. We originally had all the machines there as SGI IRIX workstations (O2s and Octanes). Now we are in the process of replacing them by G4 PowerMacs running OS X. In fact, we have a third of all the SGI’s replaced by Macs already in this facility. You are the author of a package called "Numerical Computation Tools". Tell us about the package: where to get it, and what do the various pieces do? NCT is an extensive collection of open source tools and libraries all pre-compiled and tested for OS X, and therefore ready-to-go for use in scientific research on Macs. FORTRAN: Without any doubt, F77 is still the most commonly used programming language in numerical scientific modeling. The site has several open source options for F77 on OS X available for download. It also includes a port of HPF or "High Performance Fortran". Message Passing Interface MPI and OpenMP: This is an open source set of compilers and libraries that allow one to use the industry standard framework for developing parallel applications (applications that can execute parallely over a cluster of computers or processors). Octave: This is an open source "Matlab clone". It is particularly useful for large linear algebra problems. The site has an MPI based Octave (that can run on a cluster) and also a (partially) AltiVec optimized Octave available for download. Cactus: An open source problem solving environment that is very popular, in particular with astrophysicists. It has been developed extensively to model Einstein’s equations of General Relativity using a variety of advanced computer science techniques, including parallel computing, adaptive meshes and even Grid computing. The site provides details and tricks on how to get Cactus to work on OS X.
RNPL: This is a great tool that takes as input details about the form of an equation (usually a partial differential equation), and some parameters … and then spits out a C or FORTRAN Code that solves the equation numerically using established iterative numerical techniques. It is used extensively by computational astrophysicists. Again, an OS X port is available for download. There are many other tools available, possibly of lesser significance. There is also a full page devoted to the usage of the Velocity Engine in scientific computation with some sample code and benchmarks, that may be useful. The NCT must have been a lot of work. What were the technical motivations to write this package for the Mac? I started porting some of those packages in connection with my own codes and research. And some of them indeed took some effort … so I felt that it may make sense to have them available on the Web for other scientists that are in the same boat. However, later on as I became more experienced with porting to OS X, I did some of those packages on request … and as strange as it sounds … some I even did for "sport"! That aside, since OS X is genuinely UNIX underneath, it is a true workstation class OS. So, many of the tools that have been traditionally known to work on SGIs, Suns, etc. should with some effort run on a Mac. And with all those updated and nicely documented Developer Tools that Apple lets one have for free, the porting in most cases is relatively easy. Moreover, since the G4 benchmarks so well on creativity applications like Photoshop, it’s natural to wonder how it does for scientific computation. So, part of the motivation for all this effort is to see how the G4 and Apple hardware do in scientific research. There is a concept called cluster computing related to problems that are "tightly coupled" and there are compute farms (or equivalently distributed processing systems) that tackle "parallel" problems, like movie frame rendering. Can you go into some detail on the two different technologies, explain the differences and typical problems tackled with these two techniques, and mention notable products for Mac OS X? The main difference between these two types of parallel computing is of bandwidth usage. In "tightly coupled" problems, processes working on different processors/computers need to communicate at high speed. This is because the different processes need to share information in order for the calculation to continue. As a crude example, imagine weather forecasting. Imagine you have a cluster of 48 computers, each of which is evolving weather patterns for each of the 48 contiguous U.S. states. It should be clear that all these machines cannot carry on by themselves because each computer shall need information about air currents, flows, storms etc. at least from neighboring states, so that that data can be factored in and a proper prediction can be made. Much of scientific computation is of the "tightly coupled" type. This is essentially because the mathematical language that describes most natural processes, happens to be something called partial differential equations which have this "tightly coupled" property. The most common tool that I am aware of to handle such high bandwidth problems is MPI (Message Passing Interface) and there are several available open source and commercial options for OS X. On the other hand, in low bandwidth parallel computing, little or no communication is needed. The processes on different processors/computers are independent enough that they don’t need to share information to continue their own task. As an example consider the SETI project. If you participate in this internet based distributed computing project, you are essentially downloading data files that correspond to different days, times and locations in the sky and searching for intelligent alien signals. Other SETI participants do the same with their data set, and everyone eventually sends their results back to the SETI Institute. Note that as you were analyzing your data set, there is nothing you need from any other participant’s analysis, in order for you to complete your piece of work. They are completely independent operations. There are some scientific applications of this type. Other examples are protein folding, prime number Searches, etc. There are number of different infrastructures that are used for such problems, for example Cosm, BOINC, etc. The notable products for Mac OS X have been conveniently listed at Apple’s Scitech page. Tell us your experiences with the G4 Velocity Engine. How have you been able to exploit the VE for various research projects? On my NCT website, I have dedicated a full page on this subject using a genuine astrophysical code (that evolves a distorted black hole) as an example, I have tried to demonstrate how the V.E. can help in scientific computing. As a crude estimate, from my simulations, code optimized for V.E. can run faster by a factor from anywhere between 2 to 5. Unfortunately, the Velocity Engine has a serious limitation, i.e. it cannot handle double precision floating point numbers. And in several situations this makes it unusable for scientific work. However, there are several intelligent things one can attempt in that situation, for example, one can attempt to speed up parts of the computation that do not need double precision using the V.E. while keep other parts doubly precise, and so on. In any case, there is no denying that the V.E. can help significantly in scientific computation, and if ever a double precision version is developed, it would do wonders. It is worth mentioning at this point, a product that will automatically optimize any C or Fortran source code for the V.E. This is Veridian’s VAST http://www.psrv.com/ and it works quite well. It will take any ordinary C or Fortran source code and auto-vectorize and also auto-parallelize it. This means that VAST will make appropriate changes to the source so that the resulting code and executable take advantage of the V.E. and dual processors. This saves one from learning to program the V.E. (which can be tricky) and yet still get the performance boost. As a scientist, I can therefore continue to focus on the physics, as opposed to getting deep into the realm of chip design, assembly language, etc. It works quite well for me, and I highly recommend it. Beyond the concepts of parallel and cluster computing, there is another, higher level protocol called Grid Computing. Can you explain what Grid computing is? What Grid systems are operating in the world? Are there packages for Grid computing that have been ported to Mac OS X? Grid computing is an infrastructure that allows for collaborative use of high performance computer labs, scientific instruments, databases etc. that are located possibly in different parts of the world. Normally, when one thinks of cluster computing, one imagines a single room stacked up with several dozen computers, all networked via a high speed connection working on some task in parallel. However, say that is not enough power for your problem at hand. You need to use the super-computing facilities at San Diego, UIUC, Los Alamos and Fujitsu all together! Grid computing will let you do that. There are several Grids being built all over the world. For example, National Technology Grid (NPACI, NCSA), European DataGrid, NASA Information Power Grid, The Grid Physics Network and others. Now, regarding OS X and Grid computing. The open source software tools and libraries that are relevant to accessing and serving grid services and developing applications that are grid enabled is called the Globus Toolkit. There have been several independent attempts to port Globus to OS X with limited success. The issues that arise would be best addressed if there were a coordinated effort between Apple and the Globus team. It is my understanding that Apple is aware of this and is considering such a collaboration. In the meantime, it is possible to access grid services on OS X using a Java based package called the Java Commodity Grid Kit. However, currently the Java CoG Kit provides client services only (there are very limited server side services available). What is your perception of Apple’s support for science and technology? Does Apple, via Apple’s higher education division, tech support, sales, and developer relations, give you the support you need? What areas does Apple need to focus on to better support the computational scientist – in both hardware and software? In my opinion, Apple is doing an excellent job in supporting science and technology. I’ve interacted with Apple SciTech closely on some issues, and I have to commend them for their close attention and sincere efforts. I’ve had a very open and healthy interaction with Apple SciTech so far. With education sales, large or small, I’ve found Apple’s managers very forthcoming and easy to work with. For developers, it is simply awesome that Apple provides a well documented and excellent set of developer tools that are regularly updated. There are many places where Apple could help the scientific developer. In my opinion it is almost imperative for Apple to develop a Fortran compiler that optimizes very well for the G4 (including the V.E. and dual processors). There is only one such product in the market, that comes close, and it is expensive. Competition always helps! Moreover, all other platforms I know of, have a Fortran compiler bundled with developer tools. Including highly-optimized, standard computational libraries with developer tools would also help. I realize Apple is beginning to do that already. BLAS and LAPACK come standard with Jaguar. And of course, OS X could still use some optimization and tweaking. As far as hardware goes, better system architecture (bus speeds, etc) and faster and more sophisticated processors (64-bit, possibly a vector processing unit that can support double precision floats) would be a necessity in the near future. Also, worth considering would be quad MP G4 systems. I am not fully aware of the technical challenges associated with these, but it would be incredibly useful (at least to a scientist) to have a quad G4 processor or higher system available. What lies ahead in the research you are doing? My Black Hole research is at a very exciting and unique juncture at this moment in time. I didn’t get a chance to say this before; I numerically model the merger of two Black Holes and study the properties of the Gravitational Radiation that emerges from such an event. All over the world there are these Gravity Wave Observatories being built (LIGO and LISA in the U.S.) that shall be able to detect this radiation. Over the next few years, these detectors will come online and that will be an incredibly exciting time for us! Only time will tell what will be witnessed through this new window into the universe, and luckily the wait is not that long!